For public or academic libraries, the Laptop self-service kiosk gives freedom to your students and visitors. No more fixed PCs, cables, network and power points. One Laptop self-service unit will do it all. Free your space and cut the cords. Our Plexiglas RFID gate system provides perimeter based protection and improves alarm handling capability for any location where traditional RFID systems are not appropriate or where enhanced protection is required. The all new self service reservations kiosk from D-Tech International. Our holdIT™ reservations kiosks facilitate extended library opening hours by providing a self service collection point that can be positioned internally or externally. Designed and manufactured with a low carbon footprint our serveIT™ units are also styled to meet ergonomic guidelines. Modular design allows for easy add on options such as chip and pin and special care has been taken to make them easy and accessible for library staff to maintain and manage. D-Tech’s serveIT™ is a new concept with ground-breaking design and technology features. Users have everything they need at their finger tips. Our cost-effective serveIT™ range gives you all the options you need for an efficient service. D-Tech have been designing, refining, manufacturing and installing specialist security systems since 2002. Our secureIT™ range of products are at the forefront of technology and quality for library security in Europe and the USA. D-Tech convertIT™ products give libraries and schools all the equipment your staff need to effectively manage the supply of lending materials. Our systems reduce repetitive tasks leading to greater efficiency at the counter. Our holdIT™ and lendIT™ systems are the most advanced 24-hour lending machines available on the market. From pharmacies to libraries, our machines can be stocked with a infinitely wide variety of lending media and saleable goods. Track visitor usage and evaluate footfall with our countIT™ range of standard and thermal people counters. Our powerful, unobtrusive systems report with class-leading accuracy giving you valuable data via easy-to-use software. Free your library or study area from cables, network points, PCs and fixed furniture with the computeIT™ laptop self-service unit. Store and supply up to 96 laptops or iPads, all charged, updated and ready to go. 24/7 systems also available. Behind great hardware is great software and D-Tech’s linkIT™, countIT™ and v4 applications complete the package. Constantly being improved, D-Tech software is the intuitive and cost-effective solution for your facility. Now libraries are able to accommodate their self-service furniture as part of the whole library design. In response to feedback from librarians and library users we designed blendIT™ – a range of furnishings specifically for libraries. D-Tech can deliver a huge range of returns and sorting options (AMH). Our returnIT™ is a fully automated book return machine. It is designed to offer a superior library returning service, reducing queues and waiting times to free up library staff. The main component of any RFID / RFIQ system is the label itself. Without the label the rest of the system cannot function. D-Tech’s trackIT™ RFID / RFIQ labels are ISO 18000-3 and ISO 15693 compliant and come with a 40-year guarantee. We are fully committed to offering the very best support to all our customers so that you can continue to offer the best service to yours. Our software developers and hardware engineers are right at hand to ensure there is no gap in service. D-Tech library security systems use technology to create environments that work for their clients and their customers. We design, develop, manufacture and install high performance RFID products and library security systems. Our technologies include EM, RF, RFIQ and RFID used for self service, stock control and management, library security, people counters and 24-hour vending. D-Tech also supplies labels and design services to allow libraries to achieve the best from the technologies available today and in the future. D-Tech is currently expanding its global presence to meet the increase in demand, internationally, for library security systems, products and services in emerging markets. D-Tech continues to develop and improve its product range to create the best in library security systems and RFID library solutions. 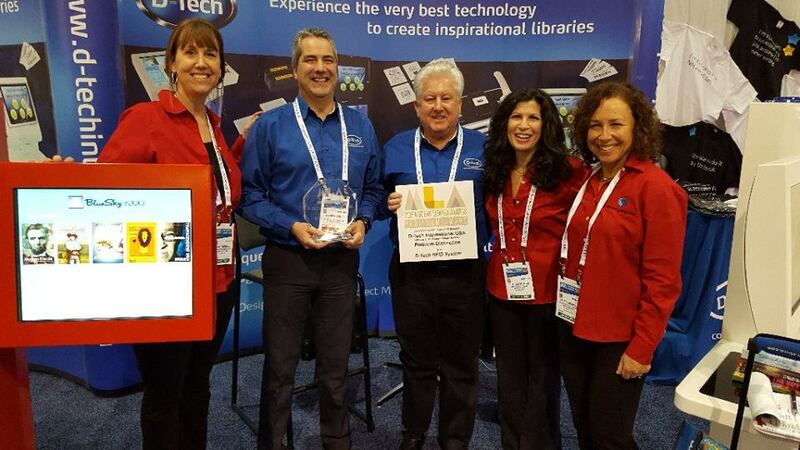 D-Tech is a family business started in 2002 and since then has grown to become one of the leading manufacturers of library security systems and RFID library solutions in Europe. We are a green company with headquarters, factory and warehousing located on the former US Air Force base of Bentwaters, north-east of London.